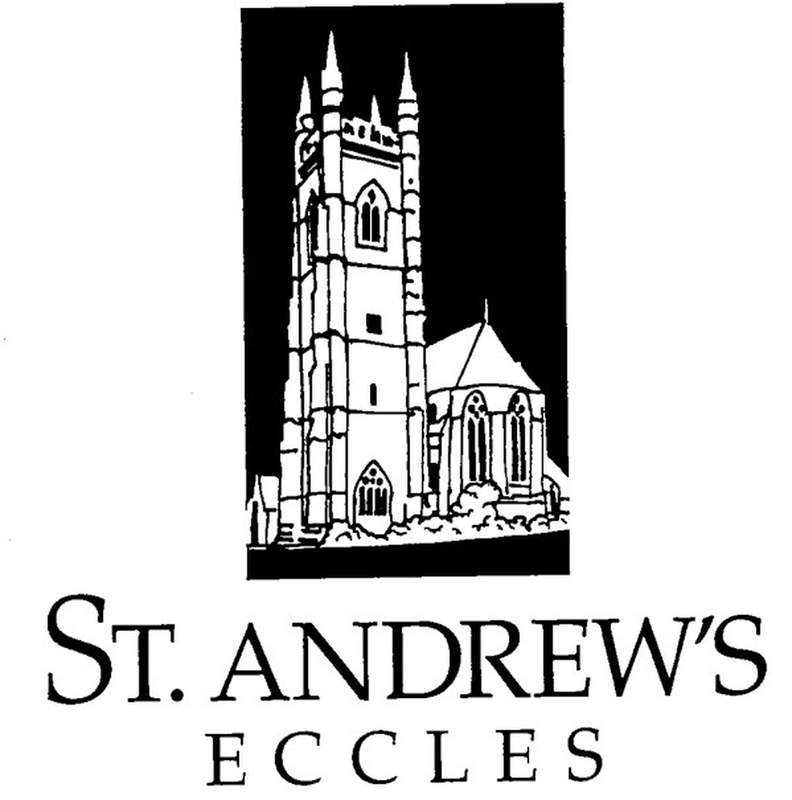 St Andrew's parish was once part of the huge medieval parish of St Mary the Virgin, Eccles, from which the village (Eccles means church) took its name. As the population of the area soared following the Industrial Revolution the old parish was gradually broken up as surrounding townships gained their own churches. 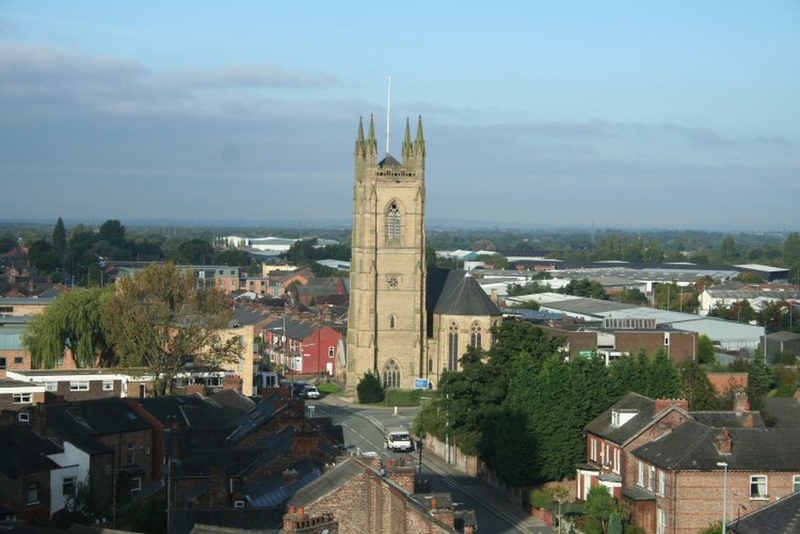 Eventually in the 1870s the rector of St Mary's, Canon Pitcairn, realised that even within Eccles itself his medieval church could not meet the demands of an increasing population, and an additional church was needed to serve the eastern side of the town and the suburb of Monton. He organised local professionals and businessmen to set up a building fund under the honorary treasurership of Henry Boddington, Chairman of Boddington's Brewery, to raise money to build a new church designed by Herbert Tijou. They raised £5000, but when the church opened in 1879 another £2000 remained owing on the cost of the building, which was therefore built not only without a tower (eventually added in 1889) but also without the planned interior decoration. This caused one local journalist to describe the building as, "light, but a little too monotonous to be quite cheerful." Over the next 40 years the church was to be beautified with a wealth of stone carving, stained glass, decorative woodwork, and even wall paintings (although the latter were sadly covered over in 1965) to produce the magnificent Grade II* listed building we see today. The stone carving is probably the church’s most distinctive feature. Surrounding the tops of all the pillars in the central aisle are rings of foliage, some with birds, animals and human and angelic faces among the leaves. High above are the carved heads of the 12 apostles and higher further still the symbols associated with each apostle. More religious symbols and saints’ heads may be seen at the east end of the church. In the north and south aisles are a series of carved angels each one completely different from the other. Today St Andrew’s continues this tradition of showing God’s love by seeking to meet the needs of our community both spiritual and practical. In the 1980s pews were removed from the west end of the church to create a lounge area with a tea bar. This area was further extended by the removal of more pews in 2017 and is the venue for a variety for regular and occasional community activities.